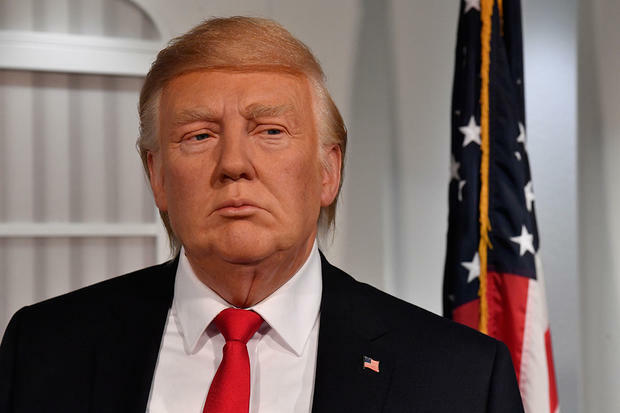 The “uncanny valley” is a concept to describe the continuum of eeriness one feels in the company of lifelike human dolls. Of late, it has been in use to describe a similar feeling with robots or other automatons, but to me, nothing evokes the sensation quite like the dead-eyed dolly, with arms just barely bent and fingers splayed, that I saw in the corner of my grandmother’s parlor many, many moons ago. Along with that menacing, soulless, spirit-vacuum, there is one other borderlands-entity that fills me with the same unease: The Foreign Intelligence Surveillance Court. I’ve been digging about lately, trying to figure out what’s going on between the Intelligence Community and the President. Both sides are making stunning claims and yet we’re not seeing evidence. We KNOW something happened. We KNOW there are transcripts and evidence that could explain exactly what transpired between Trump, the Russians and the Intelligence Community’s collection of data – and yet, we get only shadows and implications. The two sides, the Administration and the IC, are wounding one another badly, but not going in for the kill. The Foreign Intelligence Surveillance Court of the United States operates outside of Article III (of the Constitution) rules. It only hears one side of a case (the Government’s side) and it establishes the rules of the game for surveillance case by case. Those rules are then kept secret, as are the rulings, yet they have the full force and power of normal Article III processes. No ruling, or established case law, to my reading, has ever been challenged in the Supreme Court and it is unclear, if that were to happen, which court would ultimately preside, as the Intelligence Community operates, largely and for obvious reasons, in secret. One such secret ruling was revealed in 2013 in the New York Times and it established the principle that the Intelligence Community can conduct WARRANTLESS searches / surveillance of American citizens – like, say, Mike Flynn – if they (the IC) find that the subject was engaged in nuclear proliferation, ESPIONAGE or CYBER-ATTACKS. The emphasis, obviously, is intentional. If that happened, that would mean the Intelligence Community was surveilling the communications of the Trump campaign without a warrant, their only legal protection being citation of a secret (and still classified) ruling by a secret court operating outside normal Constitutional bounds. So we’re getting insinuation and rumor, and yet nothing that would trigger a full-blown crisis between the Intelligence Community and the sitting President of the United States. Both sides in this battle have access to the information that would clear this up (the transcripts of the meetings between the campaign and the Russians) but no one is taking the next step that would, in this scenario, almost undoubtedly end up pitting the Foreign Intelligence Surveillance Court and the Supreme Court against one another in a battle to determine Judicial supremacy. We are in an uncanny valley, indeed.